Want social media engagement? 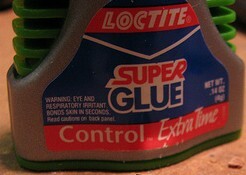 Use Instagram because this mobile photography app is social media engagement superglue. 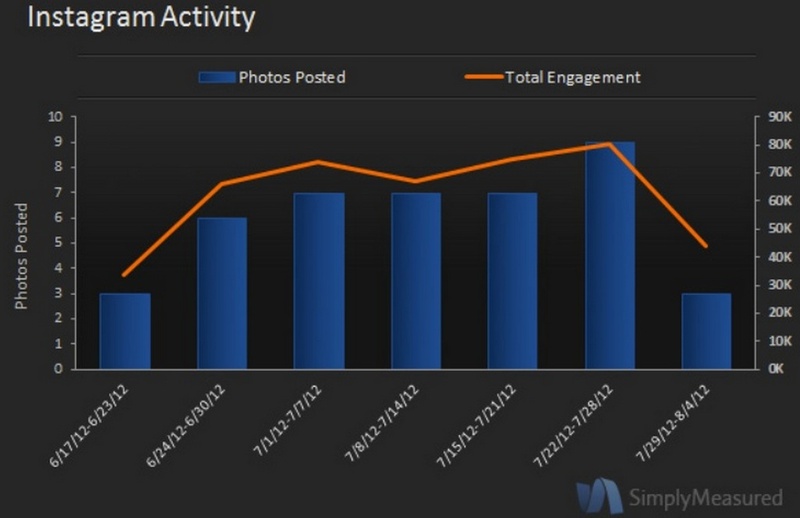 As research from Simply Measured shows, a picture is worth a thousand engagements. When compared to other social media networks, namely Facebook and Twitter, images posted on Instagram yield more engagement. 40% of the Interbrand 100 companies have an Instagram account. While it’s a significantly lower number than on either Facebook or Twitter, the Interbrand 100 firms who are active on Instagram have attracted over 3 million followers! The amount of activity on Instagram’s top 10 Interbrand brands is growing exponentially. More importantly, the top 10 Interbrands on Instagram account for 96% of the activity. This is notable since it means that these brands will continue to grow at a faster rate than their peers. Since visuals, particularly photographs, are a critical aspect of 360° branding, it makes sense for most marketers to add Instagram to their social media marketing toolbox. The reality is that, regardless of whether you’re a B2C, B2B or Not-For-Profit organization, you’re using images and/or photographs to portray your brand. With the increased consumer posting of photographs on Facebook and Pinterest, there’s a good chance that if you’re not putting your brand in the picture, your target audience is. To integrate Instagram from a strategic marketing perspective here are five elements to get you started based on Simply Measured’s research. If you’re already using Instagram, make sure you’ve incorporated these five points to maximize your results. To keep follower interaction at its peak, keep promotion in any form off of Instagram. 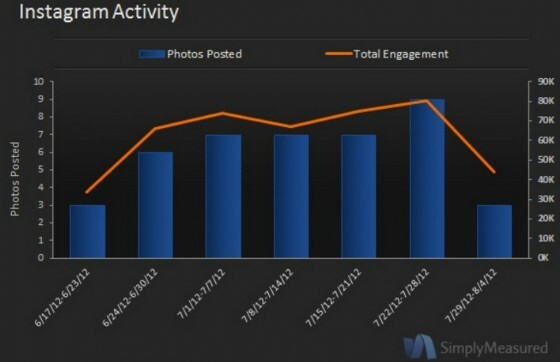 This was the major finding of Simply Measured’s Audi case study where there was a high correlation between the number of images posted and the amount of engagement. 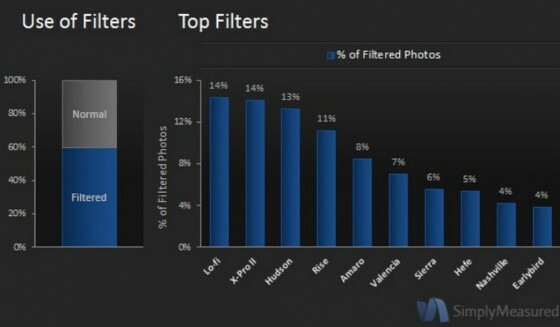 To look their best, your Instagram photos need help in the form of a filter. 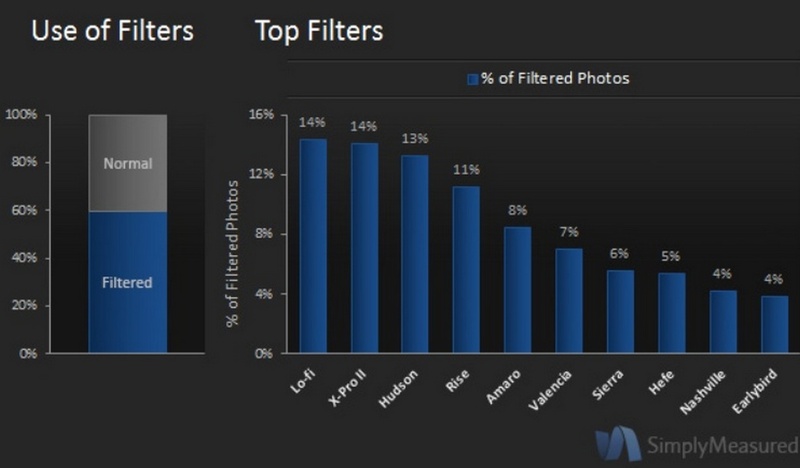 60% of images have a filter applied to them although no one filter dominates the market. The range of diverse issues an image may have and the specific way to enhance it may be more of a filter driver. To keep up with the competition, post weekly on Instagram. Specifically, you should post a minimum at least one image per week since one out of four brands on Instagram post at least once photo a week, according to Simply Measured. To increase cross-platform sharing, you need to encourage and remind followers to share your Instagram images. One of Instagram’s cross platform integration challenges is that it doesn’t have cross platform sharing despite being owned by Facebook. 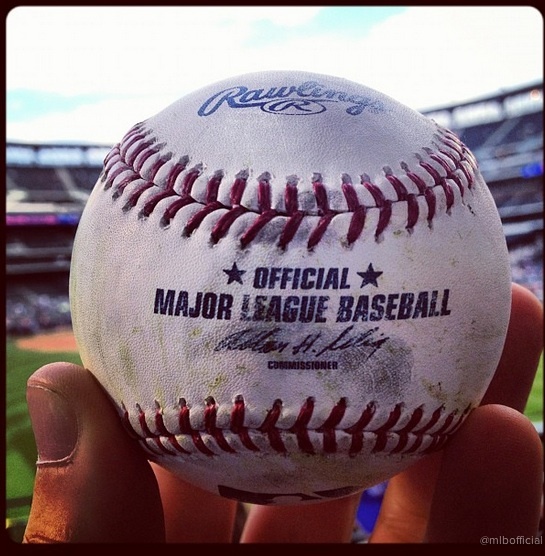 As a result, each brand is dependent on its followers to share images. Photographs attract your audience’s attention. Use Instagram as a way to augment your other social media offerings and to build your visual brand. From a marketing perspective, if you incorporate Instagram into your overall content marketing program, you can cost effectively extend your reach on this fast growing, high engagement platform. If you’ve used Instagram to extend your social media offering, what has your experience been? Have you been able to increase your engagement? Tags Instagram, Research, Simply Measured. Bookmark the permalink. I saw where Instagram will be adding video! Wow, the marketing possibility with Instagram Video integration! What about videos such as YouTube? if you are not using instagram in your marketing efforts you are leaving money on the table. Been looking for a good instagram guide for a while, thanks!